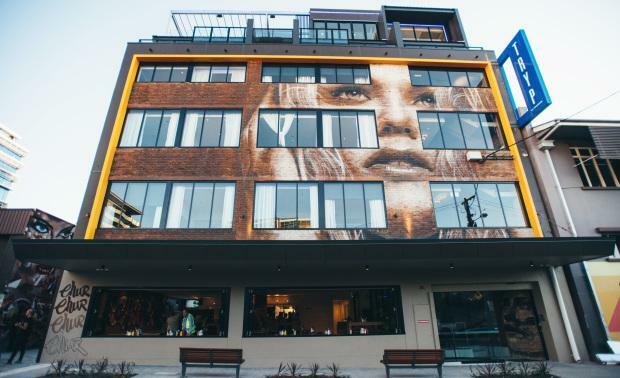 Brisbane’s only street art hotel - TRYP Fortitude Valley is to be offered for sale in an International Expressions of Interest campaign. Wayne Bunz and Rob Cross of CBRE Hotels have been exclusively appointed to sell the new 4-star boutique hotel, which opened late last year in the trendy Fortitude Valley area in Brisbane. The hotel is the first TRYP by Wyndham branded hotel in the Asia Pacific region and a flagship property for the international operator Wyndham Hotels & Resorts. Each floor of the hotel features striking urban street art and colourful murals by street artists Magee, Numskull, Rone and Beastman, coupled with an exceptional blend of finishes showcasing elements of Brisbane’s unique heritage. TRYP Fortitude Valley has been widely recognised for its unique architecture with a number of awards, including the Master Builders award for building and renovation, the Queensland Institute of Architects regional award for interior architecture and is also nominated in the upcoming Australian Institute of Architects national awards.